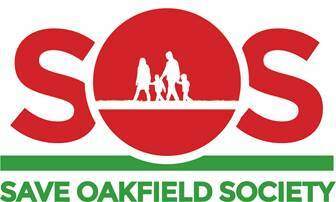 SOS promotes the protection and enhancement of Oakfield in Barkingside for the wellbeing of the whole community of Redbridge. Welcome to the Redbridge Local Development Plan. The first thing to note about the Redbridge Local Development Plan 2015-2030 is that we are now already 14 months in, and Redbridge Council have not yet agreed it, let alone anyone else, like the Planning Inspectorate, the London Mayor, or the Secretary of State. This never-ending story arose well in time for the “start” of the plan back in 2013, but has been delayed time and time again due to cold feet on the part of our elected representatives, on both sides, not wishing to jeopardise their electoral performance at consecutive elections in 2014, 2015 and 2016. Assuming the plan, as it is now, is agreed by Full Council on 21st July, as we expect it to be, then it will undergo further public examination by the Planning Inspector before a recommendation is made to the London Mayor and the Secretary of State. By the time this happens the earliest the plan can be adopted will be almost 2 years late. The result of sitting on the report for 2 years is that it is now being rushed through to meet the 2017 deadline, otherwise it can be taken out of the council’s hands and imposed by central government. This leaves a mere 6-8 weeks during the peak holiday season for the public consultation, which is timed to be concluded in September. The other impact is that it has allowed the council to increase the target for new homes well above that required by the London Plan (16,845), using a different target of “Redbridge Capacity” (18,774) and citing the classically named “objective assessment of housing need” which is even higher (32,000). The target includes a “windfall allowance” of 4,050 to account for development sites that arise unexpectedly. However in the latest edition of the plan the council has declined to use the whole allowance preferring a lower figure of 2,700. So, new housing on identified sites for development has increased from 12,795 to 16,074.
a) the Crossrail Corridor includes the King George and Goodmayes Hospital sites, Ford Sports ground and Seven Kings Park, plus now in the latest edition, green belt land at Billet Road. b) South Woodford includes the Redbridge Recreation ground and other Green Belt land between Beal School and the River Roding. As you may recall in late 2013 the then Cabinet member sent the report back to officers for alternatives to the Oakfield site. All 3 alternatives, as well as Oakfield, are now included in the new plan. It was clear from the debate at the Neighbourhoods Service committee on 26th May that whatever other new sites are included in the plan, and whatever windfall sites arise, (however much the new total increases), Oakfield will remain an “option” in the plan, unless the council are over-ruled by the Planning Inspector, the London Mayor or the Secretary of State. Planning rules state that if a local authority relocates a sports club or playing fields they must be of equal or better quality and accessible. The proposed location of the Oakfield clubs and facilities is the Hainault recreation ground, which according to the very same report is subject to flooding by Seven Kings Water. The planned total of new homes to be provided in the Barkingsideinvestment area has increased to 1,407 (1,005), 600 of which are earmarked for Oakfield as well as a secondary school and a health centre. It also includes 200 on the current playing pitches in between King Solomon and Avanti schools and behind Heybridge Drive. Other sites listed in Appendix 1 include New Mossford School (212), Craven Gardens Car Park (55), Queen Victoria House (37), Gala Bingo (55), Fullwell Cross Health Centre (55), Station Approach (41) plus various other single figure sites including, curiously, a site in Longbridge Road, Barking. Oakfield is not the only parcel of current Green Belt to be included in the plan for development. There is also the Ford Sports Ground, Seven Kings Park, the whole of the King George and Goodmayes hospital sites plus land at Billet Road and land by Beal School, not to mention Redbridge Recreation Ground (which is not GB). If the “housing crisis” can over-ride and push established clubs and quality playing pitches to other locations, then look out Wanstead Rugby Club, Ashton Playing Fields, Caterham Playing Field, Barkingside Rec., Eton Manor Rugby Club, allotments et al, except, of course, the derelict and underused Goodmayes Park Extension. 1.1.5 While facilitating major change, this Local Plan will also safeguard and enhance what is good and special about Redbridge – Oakfield is not good or special? 1.3.1 Communities can now influence the future of their local areas by preparing a neighbourhood plan that sets out their vision for the area and general planning policies to guide development. Neighbourhood plans must be ‘pro-development’. They are about guiding and shaping development, not undermining the delivery of development in that area. 1.14.19 The borough has an enviable leisure offer. There are a range of sports and leisure facilities in the borough including … Oakfield not mentioned. 1.17.4 Population growth coupled with the increased demand for travel has put severe pressure on the local transport system. Traffic congestion has increased and contributes greatly to the borough’s carbon emissions, resulting in adverse impacts on air quality and quality of life for residents. The Council aims to maximise the diversity and potential of the borough’s community’s assets, to create places that promote health and well-being for all. (c) Preventing the merging of: Woodford Green with Woodford Bridge, Wanstead with Ilford and Aldersbrook and Barkingside with Hainault; precisely what Oakfield does. This plan represents a political decision. It has been made by, for and in Redbridge. The increased figures have not been imposed from outside or higher up. This is a council who want to build, build, build their way out of a housing crisis that is not of their making and can only be solved by addressing the fundamental inequalities in the housing market over which they have no control. Attend the meeting or sign up for campaign updates.